If you are thinking of supporting local businesses more as you make your everyday purchase decisions you are certainly on the right track. Local businesses are important for the economy and when you as an individual make the decision to strengthen these businesses you help the local community thrive. The tips that are detailed in the article below explain why it is important for people to support local businesses. 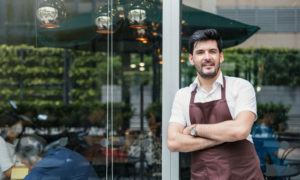 Most often than not, local businesses provide a set of unique products and offerings that you will not be able to find all over the market. When you buy from local suppliers you will get the chance to buy unique products and enjoy a higher quality of life as a result as well. Most local businesses cater to a niche in the market and so the products that you will find at these outlets and stores will certainly please and delight you. Small businesses are agile so they will be able to offer you a personalized service along with customized products. This will help you to greatly enjoy the process of buying your products! Small local businesses are often able to offer you better quality products at cheaper prices. As it was mentioned earlier small businesses are agile so they can easily customize a product to suit your preferences. This means you will have access to products that will satisfy a particular need that you have which is not met by the rest of the large scale competitors and suppliers in the market. Higher quality products will guarantee a higher quality of life as well. In addition to all of this, you will be saving a lot of money as well. So as you can see it certainly is a win-win situation! The local economy will be strengthened when people start supporting local businesses and this is common sense. Instead of making a multinational company rich you can opt to make your own community members rich! Your community will be able to enjoy a higher quality of life when everyone living in your locale decides to support their businesses. The inflow of extra money will help them to upgrade their businesses and this will, in turn, make your neighbourhood more sophisticated and stylish as well. Entrepreneurship is a thankless job for sure! Not many people are willing to risk it all in the hopes of making a business flourish. But entrepreneurship keeps our communities alive. Without entrepreneurship, none of the businesses that are making waves in the world will be here. When you decide to support local businesses, dreamers both young and old will find strength and the courage to start their own businesses. This will give them chances to test their own ideas and sustain their families well. Needless to say, it will benefit you all as a community. So as you can see, helping local businesses is indeed quite important if you want to help your local community!